After more than 2 years of preparation, and on the same year as the company´s 25-year-anniversary, Grusomhetens Teater made its US debut. In association with La MaMa, GT presented The Mountain Bird (“Fjeldfuglen”) at the Ellen Stewart Theatre, named after one of the key figures in creating the non-commercial (off-off-Broadway) theater movement in 1961, and fostering pioneers within the American avant-garde: from Sam Shepard, Lanford Wilson, and Harvey Fierstein, to Mabou Mines, Meredith Monk, and Ping Chong. Through the generous support of the Norwegian Arts Council, the Norwegian Ministry of Foreign Affairs, and the Norwegian Consulate of New York, Grusomhetens Teater performed 2-5 March 2017 at the 200-seat house. The production was performed in the original Norwegian (with English super-titles), and the majority of the cast were from the original production. The Mountain Bird stages Henrik Ibsen´s incomplete 1859 opera libretto, under the direction of Lars Øyno and featuring an original score by Filip Sande. The production has toured extensively since its world-premiere by Grusomhetens Teater in 2009, performing as part of Nationaltheatret´s International Ibsen Festival and Den Norske Opera, as well as festivals and theaters in Sweden, France, Britain, Germany, Poland, Russia, Turkey, India, and Japan. This engagement at La MaMa marks the North American debut of both the company and Ibsen´s opera. Audiences and critics alike loved both the company and the production. 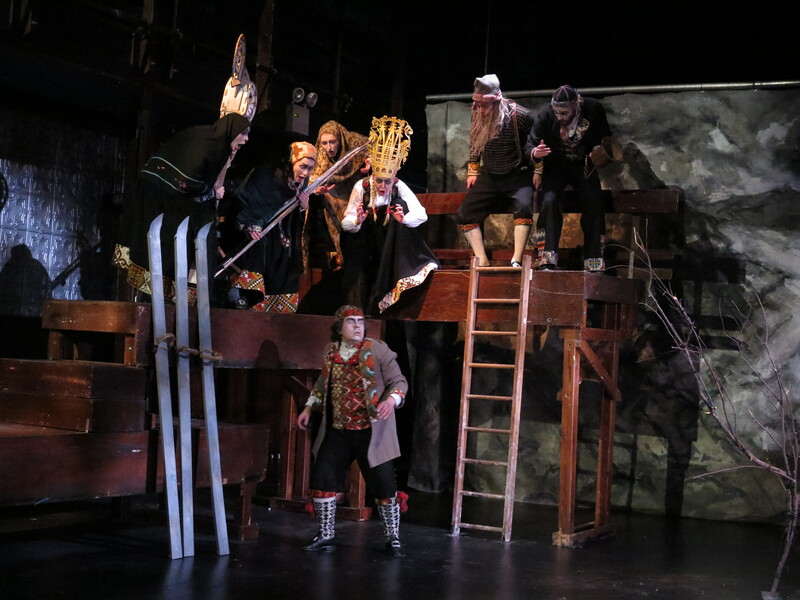 Critics described The Mountain Bird as “visually stunning” (Theatre Is Easy), “a wondrous piece of theatre” (New York Theatre Wire), and “a brilliant production!…. (Grusomhetens Teater´s) actors are masters of expressive and repeated gesture” (TotalTheater.com). This US debut of The Mountain Bird featured performances by Odille Annette Heftye Blehr, Hanne Dieserud, Jimmie Jonasson, Lars Tore Pedersen, Nina Eileen Sponnich, Miguel Emilio Dobrodenka Steinsland, Maja Toresen, Hege Tunaal, Stig Zeiner, and Johanna Øyno. Costumes by Gjøril Bjercke Sæther. Lighting by Jan Skomakerstuen. Produced by Brendan McCall. La MaMa has invited Grusomhetens Teater to return to New York with a different production, as part of their 2018-19 season.